Sixty years ago, Credit Valley Conservation (CVC) first explored the concept of a continuous trail through the Credit River Valley. The trail would connect communities along the Credit River in a unique and meaningful way. Today, we’re working with the Credit Valley Conservation Foundation to transform our vision into reality. The Credit Valley Trail (CVT) will be a 100-kilometre continuous river valley trail connecting the hills of the headwaters in Orangeville to Lake Ontario in Port Credit. This historic trail will connect people to the beauty of nature, rich cultural experiences, Indigenous heritage and values, and the sustaining waters of the Credit River. The CVT is being built through leadership, forward-thinking, collaboration among community partners and Indigenous leaders, and the land to support the planned route. The good news is an important piece of the puzzle has recently become available. In the heart of Caledon, along the upper stretches of the Credit River, is a 44-acre piece of land that is crucial to developing the optimum route of the Credit Valley Trail. We’re calling this our Capstone property because it’s the inaugural land acquisition for the Credit Valley Trail. Owning it would give us a gateway to our Charles Sauriol Conservation Area, 188 acres of conservation land that’s currently inaccessible to the community. The Credit River meanders through the partially-forested Capstone property with its stunning cedar forests and incredible biodiversity. This is a true natural jewel to be protected now, and forever. Acquiring this land will secure 650 metres of the CVT’s optimum route, connecting 8.5 continuous kilometres of trail. It will also help protect critical brook trout habitat, the Credit River Watershed’s most important native fish species. Together, we can take action. 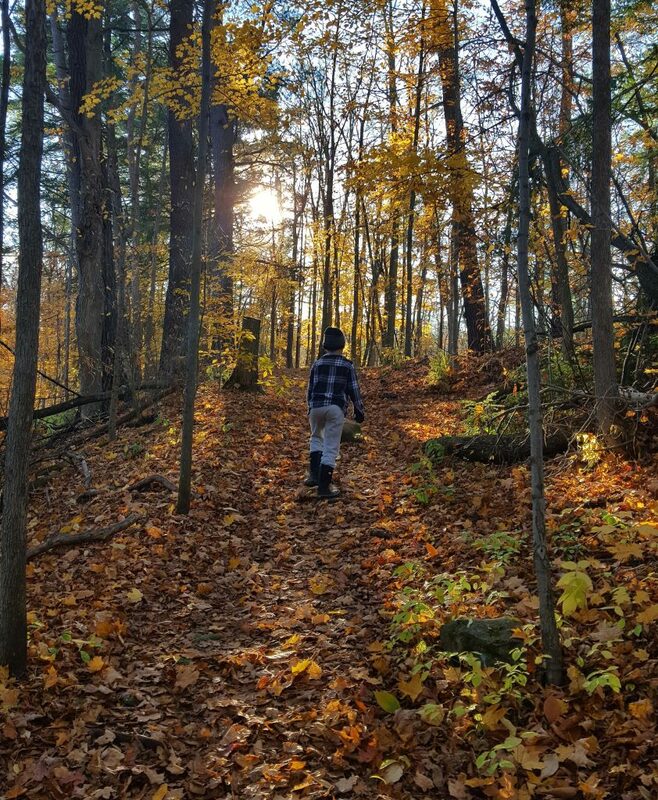 The Credit Valley Conservation Foundation is launching an important fundraising campaign on National Philanthropy Day (November 15) to support the Capstone property purchase. The Capstone Campaign is your chance to help build a piece of the legacy Credit Valley Trail. With your help we will raise the $425,000 needed to support the purchase of this incredible natural gem. Your donation will directly contribute to a thriving environment that protects, connects, and sustains us. It will have lasting impact along the Credit River while helping to inspire, connect and empower infinite generations of river guardians to value and protect this watershed. Take the step. To learn more about the Capstone Campaign or to donate, visit www.cvcfoundation.ca/capstone. 425 K is a lot of money. Have you considered trying to acquire a smaller parcel that would provide a corridor through the property?